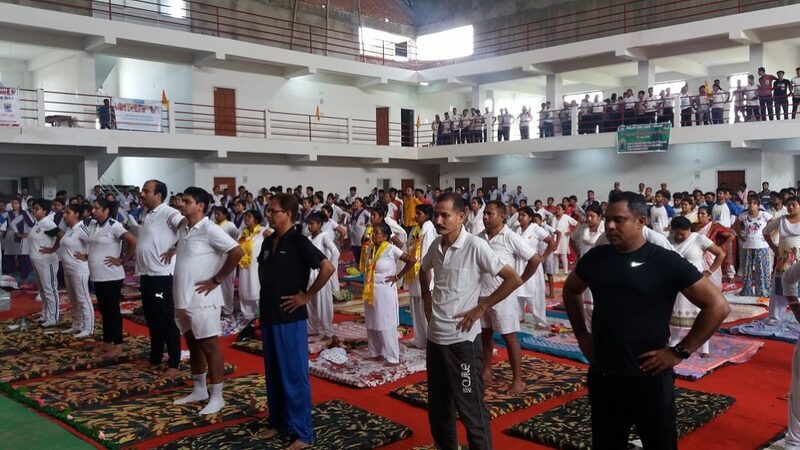 Along with rest of the World, the 4th International Yoga Day was celebrated in Hojai of Assam on Thursday under the aegis of Hojai district administration at Hojai Indoor Stadium Campus. At around 6:45 am, the programme began with lighting the lamp. Hojai MLA Shiladitya Deb along with Deputy Commissioner of Hojai district Manvendra Pratap Singh, IAS, Superintendent of Police Ankur Jain, IPS and officials from all the departments were present on the occasion. 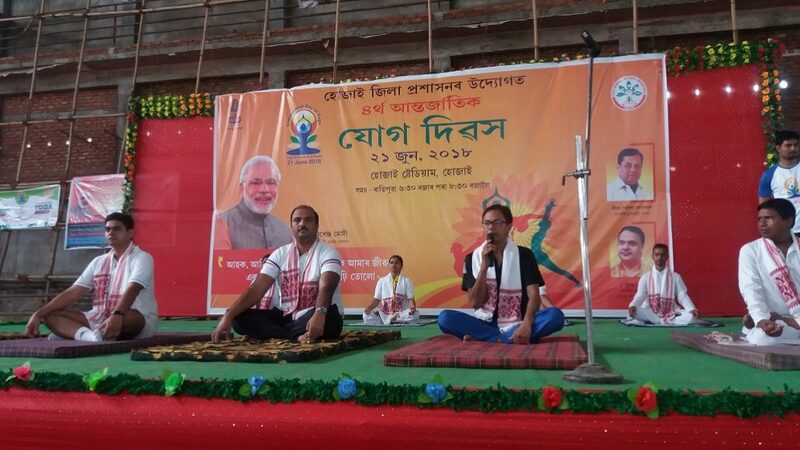 He urged the denizen s of Hojai to at least do yoga for 15 minutes in regular basis. 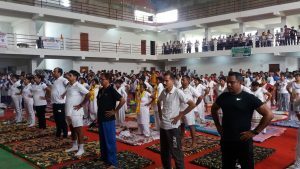 Hundreds of school children, college students, people from all walks of life enthusiastically participated in this event and performed various yoga shown by the yoga guru and president of Hojai Patanjali Yoga Samity, Gopal Das along with his students. Children from SOS Children’s Village along with the Village Director Paresh Badyakar, students from Hojai College NCC unit, trainees from Ajmal Foundation’s Deen Dayal Upadhyaya Grameen Kaushalya Yojana, karyakartas of Hojai Patanjali unit, Sarv Hindustani Parishad also took part in this event. The programme ended at around 8 am. Other venues such as CRPF camp, Lachit Yoga Kendra, Life Insurance Corporation, Hojai branch and many schools joined the celebrations.